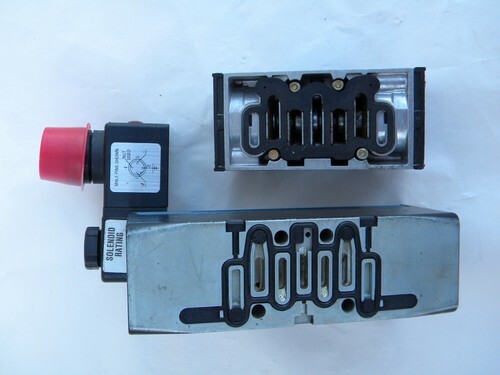 Lot of Rexroth Ceram and Festo industrial solenoid valves and parts. 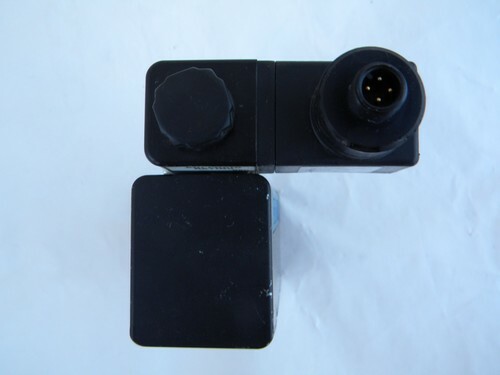 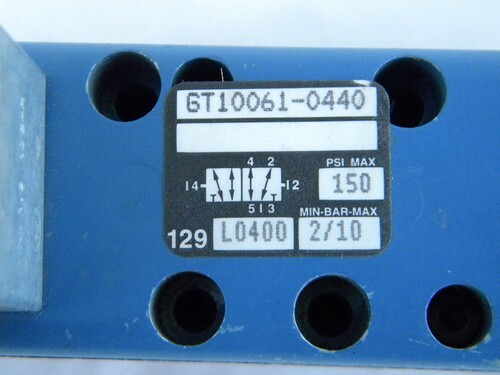 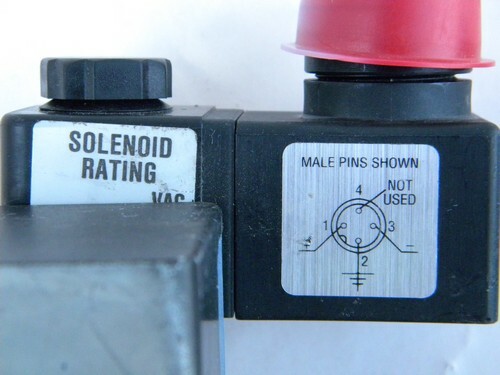 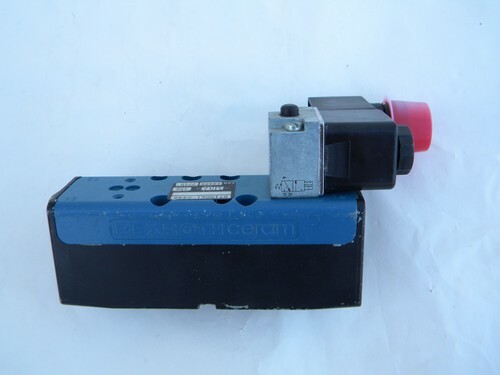 There is Rexroth Ceram model GT10061-0440 / L0400 solenoid valve marked for 150 psi. 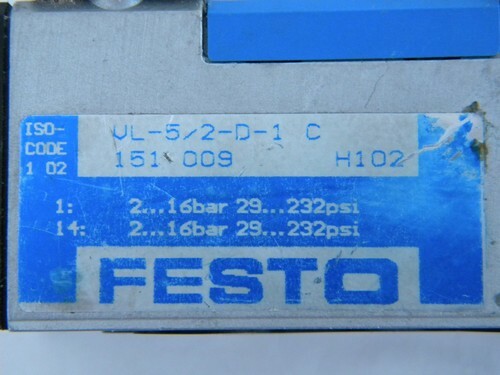 and a Festo model "UL-5/2-D-1 C" valve manifold. 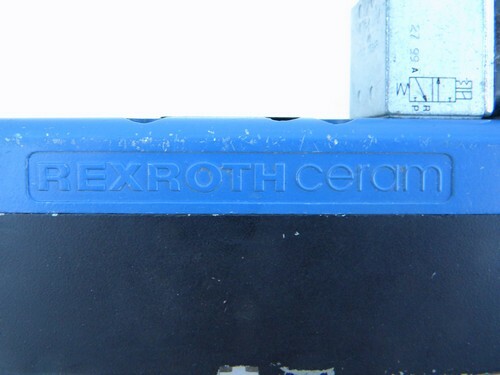 The Rexroth valve still has a red plastic cap on the connector and measures about 7 inches long overall. 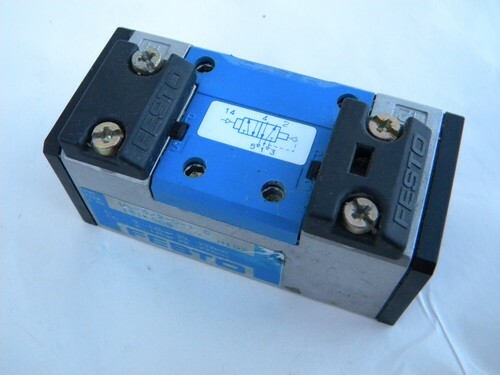 The Festo measures about 3.5 inches long overall. 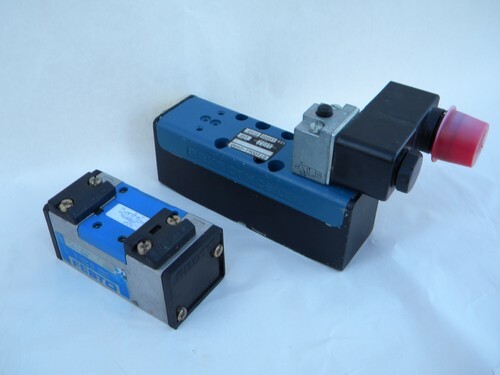 These are from the estate of an industrial engineer and we don&apos;t know much about these. 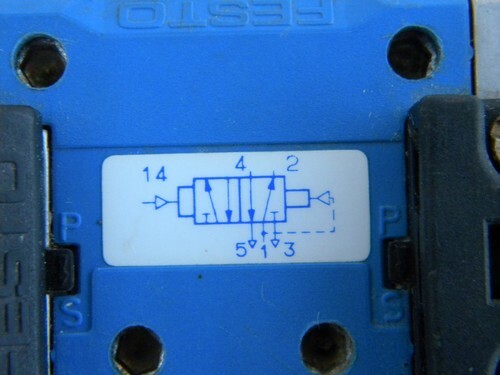 We&apos;re selling them for repair or parts.